I got this backpack from an online store Jollychic, they really offer wide variety of different style of clothes/shoes and accessories and as they state they offer thousands of popular garment brands at reasonable prices! I can agree with that, because when I made my order a little while ago, I browsed their site for almost 2 hours & I still have over 30 items on my wishlist cart! 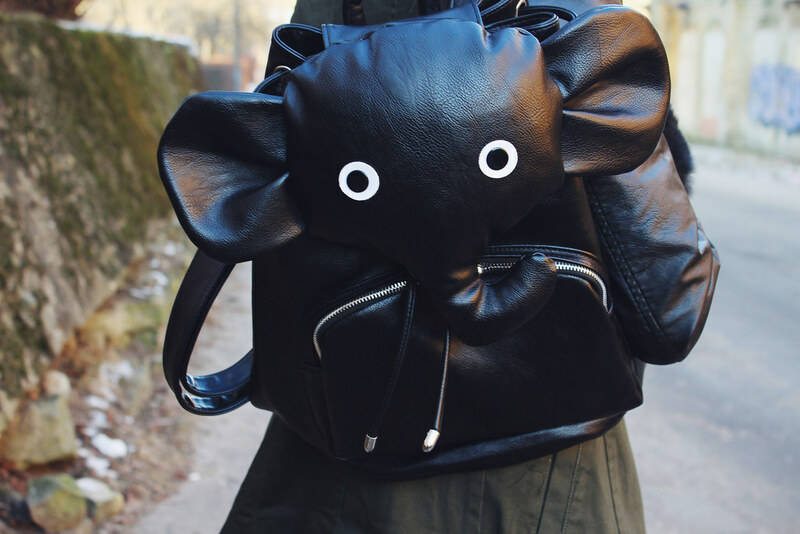 That is the cutest backpack ever! amazing outfit… I love your backpack! You look so pretty and that bag is pretty cute!!! i love that red & black together. the outfit looks so good on you. dear you are so cool! I love love love your hair in these photos! Gorgeous! You look so cute!! I seriously love the hair, too! Loving this look girlie and that top knot is so pretty! You're amazing Maddie and how adorable and perfect your hairstyle is. You look so sleek and warm Maddie , I love the backpack and the plaid shirt. it is cold here in New York , too! Brrr. I love your hairstyle so much Maddie, wonderful! You're gorgeous! Love your hair! The elephant bag is very nice! Maddie!!!!!!!!!!!!!!!!!!!!!!!!!! That is the cutest coat ever!!! And don't get me started on the elephant!! Missed your blog sweet heart! Stunning, you look so great! I love your pretty hairstyle and this beautiful look too! LOVE this look!!! 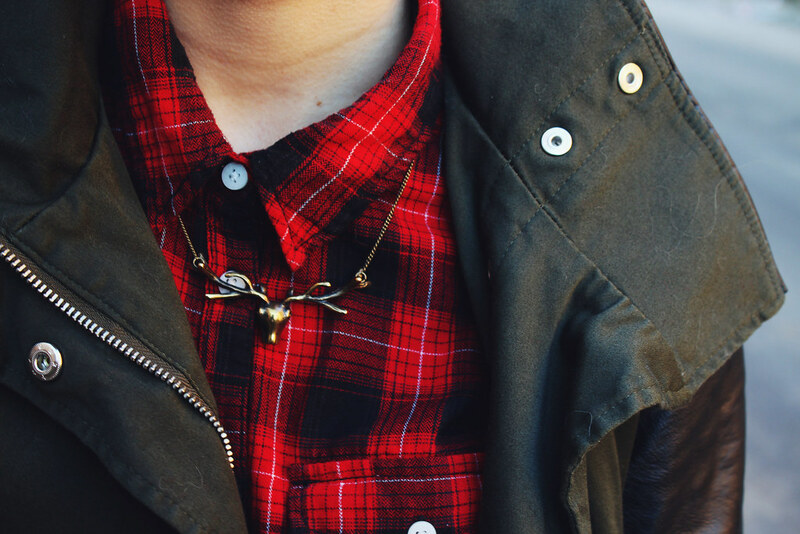 The plaid looks awesome and your hair is perfect!! you're so cool! and stylish! The backpack is really cute and lovely outfit. Hey! That's me! Thanks so much! Blah Maddie it's way too hot so please let's swap! Hehehe! Loooove that backpack! You look so cute, I love your jacket! I just love that pagpack. The whole outfit looks great. Man ļoti patīk šis outfits. Somiņa ir vienkārši ģeniāla. Man ļoti patīk arī tavas kurpes, tāpēc vaicāšu, vai viņas ir ļoti ērtas un vai izmēri, pasūtot internetā, šīm kurpēm ir atbilstoši? Mīļš paldies par jaukajiem vārdiem! OMG, this backpack is amazing!! Love it so so much! You are fantastic with this outfit! I think that is the jacket I'm looking for. I can't find pictures or something else. Could you show me the jacket from the back? Does it have a black band in the waistline? you would help me a lot.